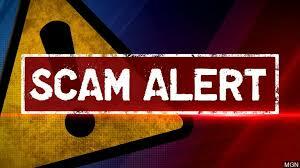 Putnam County Sheriff Robert L. Langley Jr. is warning Putnam residents of a possible driveway paving scam. On or about April 5, 2019, the Putnam County Sheriff’s Office received a complaint, from a resident in Garrison NY, of a possible driveway scam. On Tuesday, April 2, 2019, two male white subjects approached the homeowner at his residence and identified themselves as a paving company. The subjects told the homeowner that they had extra asphalt that was allegedly “left over” from another job and offered to pave his driveway for $1500. When the work was near completion, the subjects demanded $5500. Sheriff Langley would like to remind all citizens, especially our seniors, to be cautious and always get the price of services in writing before any service begins. Additionally, always make sure the company is licensed and reputable. If you suspect any such a fraud you can contact Investigator Paul Piazza of the Putnam County Sheriff’s Office Bureau of Criminal Investigation at (845)225-4300, ext. 42252 or your local Police Department.